Michelle joined our team after working in the real estate industry since 1990. 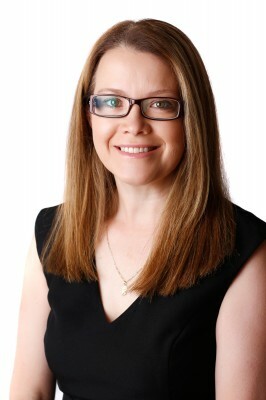 During those years she was fortunate enough to have gained experience in all aspects of the industry including Residential, Commercial and Strata Property Management and Sales, Business Development, Trust & General Accounting and is also a Licensed Real Estate Agent after completing her Diploma in Property in 2014. With her accounting and investment experience moving into the finance industry was the logical next step in her career and with her wealth of knowledge and passion for ensuring clients are given exceptional service she is a true professional. Ready to get a loan through Michelle? Before you begin your application, you may wish to take advantage of our secure "auto-save" feature. You will be sent a code via SMS to your mobile phone that will allow you to come back to your application anytime up to 7 days later. This service is free, and we strongly recommend that you take advantage of this feature. If you do not wish to take advantage of this feature, you may skip this step and begin your application, however, your application will be lost if you leave this page before submitting your application. Please enter a valid Australian mobile phone number below to be sent your code. The application form will then auto-save your information as you enter it in. Do you wish to resume your application? Please enter your code below to retrieve your application and continue from where you left off. As this applicant has been at their current address for less than 6 months, we need you to provide their previous address. As this applicant has been at their current place of employment for less than 3 years, we need you to provide their previous employer details if possible. Please enter income earnt per month below. Are you entering a second applicant in this loan application? No properties have been added. Press the Add a Property button above to add a property as an asset. No motor vehicles have been added. Press the Add a Vehicle button above to add a motor vehicle as an asset. No savings accounts have been added. Press the Add Savings button above to add a savings account as an asset. If you have paid off any of your properties, feel free to leave their mortgage fields blank. As you do not own any properties, you do not need to fill out any mortgage information. If you have paid off any of your motor vehicles, feel free to leave their repayment fields blank. As you do not own any motor vehicles, you do not need to fill out any vehicle repayment information. No credit cards have been added. Press the Add Credit Card button above to add a credit card as a liability. Are you eligible for the First Home Buyer's grant? Please review your entered information for any errors. Click on the section heading if you wish to return to that section.